My gosh, it seems like we're having a total feast when it comes to food events this year. 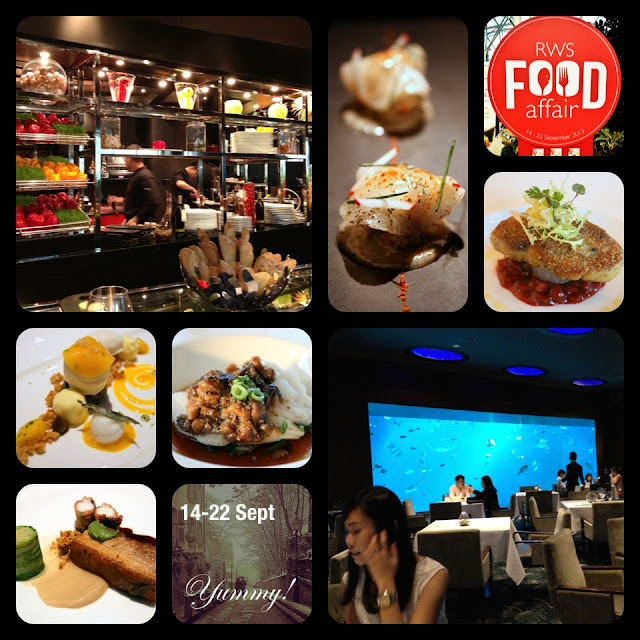 Resorts World Sentosa (RWS) is holding a nine-day showcase of celebrity chef cuisine - the RWS Food Affair. Come meet Joël Robuchon and Cat Cora in person. All the celebrity chef restaurants are featuring specially created menus, and other restaurants have buffet promotions. The website has more details on promos and half-price dining vouchers. The star event is a joint collaboration between all six celebrity chefs who will each create a course in a special dinner. Riesling for dinner). 250 seats only. Make your reservations quick if interested.